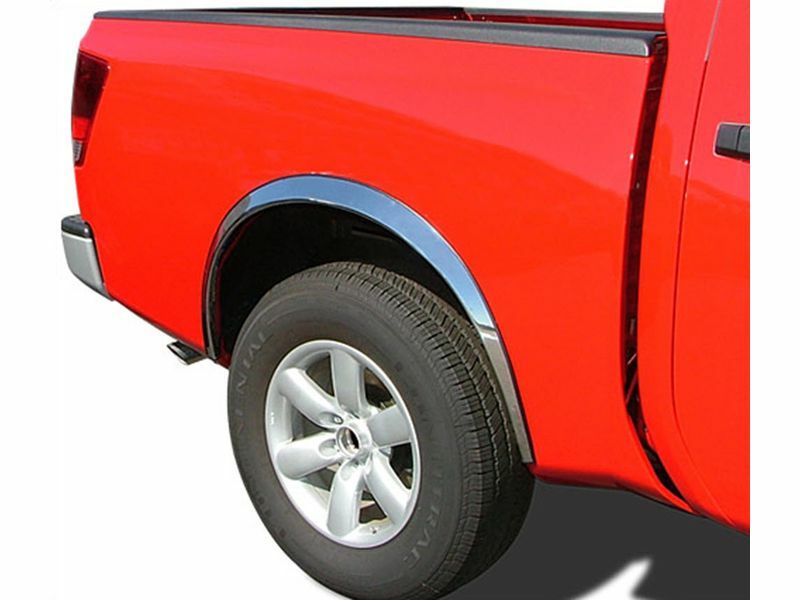 Give your truck a dash of bling with ICI stainless steel fender trim. With fender trim, you might not blind the drivers, but you will make their heads turn. These are not one size fits all fender trim, these are designed to perfectly match your year, make, and models wheel well perfectly. This trim is constructed out of heavy-duty T-304 stainless steel that has been polished to perfection. Installing the ICI stainless steel fender trim is very easy with ICI easy to read, step by step instruction guild. All the mounting hardware, as well as rubber edge, trim to make sure you have a tight fit is included. So if you are looking for a little extra shine and protections then look no further, the ICI stainless steel fender trim is what you have been looking for. Get your truck a set ordered today! ICI stainless steel fender trim is backed by 3 Year Limited Warranty. Please contact a customer loyalty specialist for more details 877-216-5446. Installing the ICI stainless steel fender trim is simple, with the easy to follow instructions. If you have any questions please let us know at 877-216-5446.